You might remember Hellgate: London as the online action RPG built by ex-Diablo devs back in 2007. There was a big build up, but when it launched there was no bang. It just fizzled out. In 2008 the developer, Flagship, closed its doors and by 2009, the US and EU servers had been shut down. But then in 2011, new owners HanbitSoft brought it back. 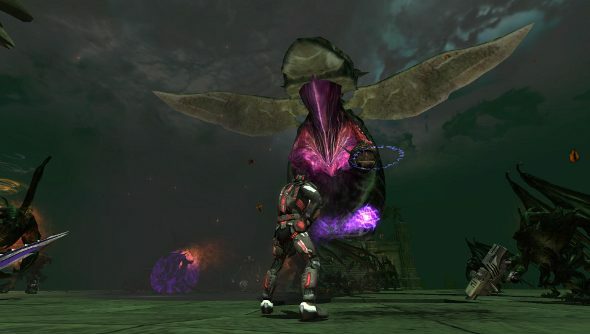 It was being played in Korea and was relaunching – with a name change to Hellgate London: Resurrection – in the US. But nobody seemed to notice, and it fizzled out again. But after seven years of not quite grabbing players, it’s making another attempt. Hellgate appeared on Steam Greenlight yesterday. It’s a bit out of the blue, a three-year-old version of a seven-year-old online game just appearing on Greenlight, but I suppose Greenlight is a bit weird, isn’t it? The page is absent much information other than its hokey premise and the fact that it contains a bunch of features from the “Tokyo pack”, an expansion from a while ago. The whole package is Hellgate Global, apparently, which is split into Hellgate London Resurrection and Hellgate Tokyo. Taking a look at the website reveals little, either. For the last couple of years the only “announcements” are for server maintenance, while the last update comes from 2011. It doesn’t look like this third attempt is off to a great start.